This is an exciting time for Project Food Forest. We have a couple of food forests in the works for this year. There is a lot of planning and fundraising to do. Then there is the payoff where we get our hands dirty and plant stuff. That will be fun. And while that is going on I need to work on my own projects in my yard. Last fall I dug up weed roots and planted native plant seeds. Now it is a matter of waiting to see what comes up. While I’m waiting I will plan my vegetable garden, which will be the 30th edition of the garden. The first step is to review what I learned from last year. One thing I learned through my association with Project Food Forest is that there are organizations that will take the excess food I grow. In recent years I reduced the amount of vegetables I grew because I had more than I could use and I didn’t want it to go to waste. Now I know I can optimize the garden to produce more food. I can donate it to food pantries or people who need it. You may be able to do the same thing with your extra zucchini and tomatoes. I also learned I could freeze fruit and vegetables very easily. I froze peas, beans, zucchini, strawberries and tomatoes. Those strawberries tasted so good when it was zero degrees and snowing in January. I didn’t blanch any of it. I just put them in baggies and threw them in the freezer. It was so simple even I could do it. Many vegetables can be frozen, however, frozen vegetables are best used for stews because when you thaw them out they can be a little mushy. Perennial vegetables are one of the components of a food forest. I already had perennial rhubarb, asparagus, garlic, strawberries and chives in the garden. Last year I added kale and parsley. If they all come back this year I will have more food without doing any extra work. That is the idea behind permaculture. Planting things that will come back year after year really increases the return on your original investment. The basil and dill I planted made for great roasted veggies but aren’t perennials in this zone. I am going to plant those again this year and maybe rosemary and oregano as well. I will use a dehydrator to store some for later use. In previous posts I talked about how I use raised beds right in my flower garden for vegetables. The flowers and plants help hide the vegetables from pests. I also use a 3-year crop rotation plan so that the same vegetables are not planted in the same bed two years in a row. I have three groups of three beds each. I plant tomatoes in one group, peas or beans in another and beets, zucchini, etc. in the third. Then each year I move each group of plants to a different group of beds. 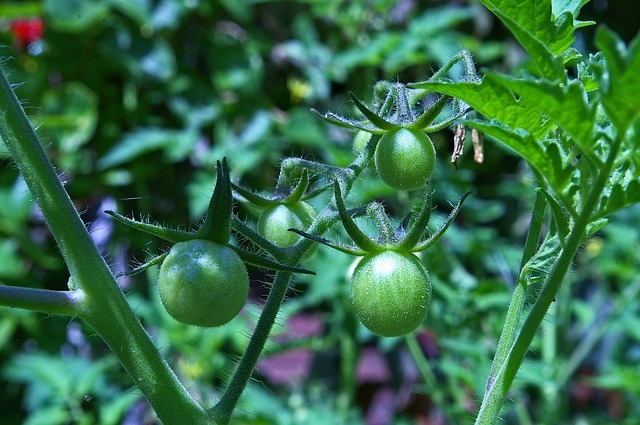 The flaw in the plan is that if pests found one bed of tomatoes for instance they would also find the other two beds because they are close together. So this year I will plant one bed of tomatoes, one of peas/bean and one of the others in each of the three groups. That will make it hard for pests to find all of one kind of plant. Some native plants and weeds are edible or have medicinal uses. One goal for this year is to find out which of the native plants I’ve added to the garden can be used as food. It is important to know exactly what plant you have before you eat them because they may be toxic. It is a matter of using what you have. If you have a crop of dandelions make a salad. Just make sure they haven’t been sprayed with any chemicals. So I am making plans for my little piece of the planet. If you have a boulevard or a corner of a yard that is not doing much, think about planting a garden or even a food forest. Project Food Forest can make a plan for incorporating food plants and native plants into your yard. Contact us for more information. Happy gardening! 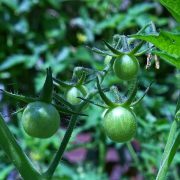 This post is by Boyd McPeek, Project Food Forest’s Interim Treasurer. I was not aware you could plant Kale as a perennial? Interesting? What kind? and did it work? I should have been clearer in my article. I planted kale last year for the first time, so this year will tell if it comes back. It is actually a biennial that flowers the second year. Some sources say it can survive the cold if it is mulched and protected. I mulched it and there was a lot of snow cover during some of the cold weather we had. I will know if it worked in a month or so and I will report on it in my blog. You asked what variety of kale I planted. I haven’t located my plant list from 2016 but I think the variety is Dwarf Blue Curled Scotch available through Seed Savers Exchange. I just got some of that seed at East Dakota Coop. It is supposed to be hardy in zones 4 and 5 with mulch. If the kale I planted last year does come back, I will let it self-seed and see if I can in effect have a perennial kale patch from year to year.